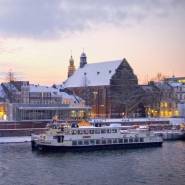 Relive old times during this interesting two-hour boat trip through Maastricht's historic river harbour: ’t Bassin (1826). Discover Maastricht from a different perspective as you float gently on the water admiring the unexpected contours of the city interspersed with views as far as the eye can see. Along the way, you'll pass through three different locks, including the beautifully restored lock 19. 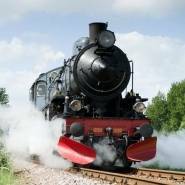 You'll also sail through a tunnel that used to be part of Maastricht's former fortifications. The trip ends at ’t Bassin river harbour where you can enjoy a delightful view of the old quayside storerooms where ships used to unload their freight, but which have since been converted into charming shops and restaurants. Boat trip: € 14.75 p.p., children (4-12) € 8.50 p.p. 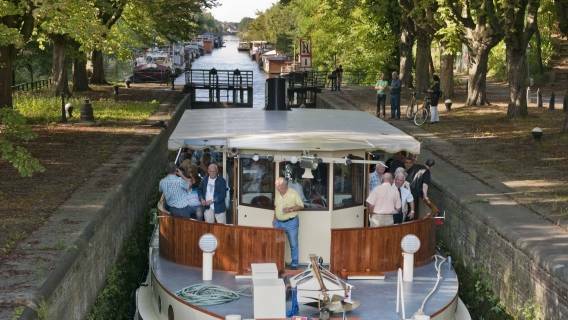 Boat trip with coffee and Limburg vlaai: Adults € 17.50 p.p., children (4-12) € 11.20 p.p. 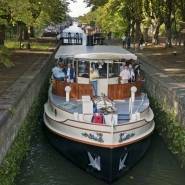 Boat trip with light lunch: Adults € 21.25 p.p., children (4-12) € 15.30 p.p. Extra details: A minimum of 10 to a maximum of 60 people. The price is based on the regular scheduled service. Exclusive charters are also possible.